Very nicely done Manu...... But I'm going to play "Devils advocate" here for a sec: Is animating suspension spring units that will probably never be seen in action, apart from the swingarm movement, a waste of resources that could be better and more efficiently used on other scene animations that can be seen? Maybe the animation for spring units would be better saved for the older classic units that can clearly be seen by other riders and spectators? Also I understand that this is just a test to see the animation in action and that you may agree with what I'm saying too, or not as the case may be. Again, just to say that I'm not putting this down, I'm just playing "Devils advocate" here for a sec. Very nice work Manu. Well done mate. Please also include the 2002 NSR, it's a wonder. 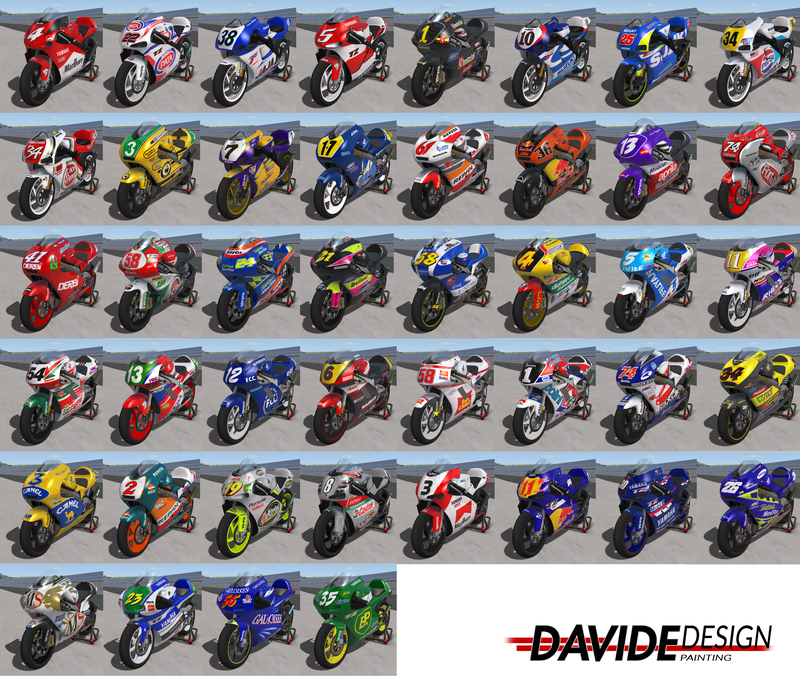 I can't wait to see these bikes on track! Very cool if you get the damper animating - can you show the part hierarchy/pivots you used? Your doing a great job mate!